Meet the South Asian Whiskey Trailblazer. She's the First of Her Kind. 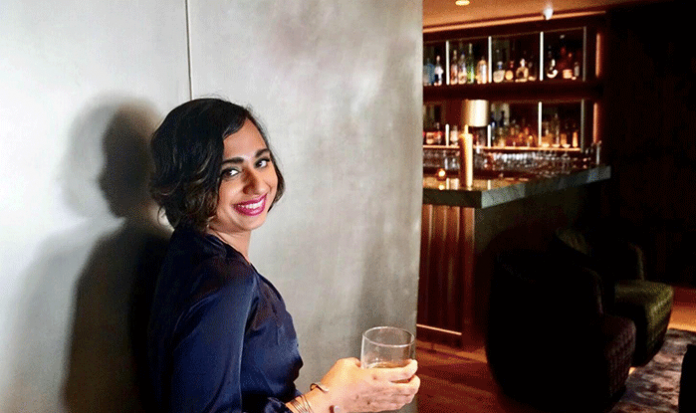 When thinking about whiskey specialists, designers and entrepreneurs one seldom thinks of women, especially within the South-Asian diaspora. Whiskey Stories founder, Rachna Hukmani, has single-handedly changed that notion. 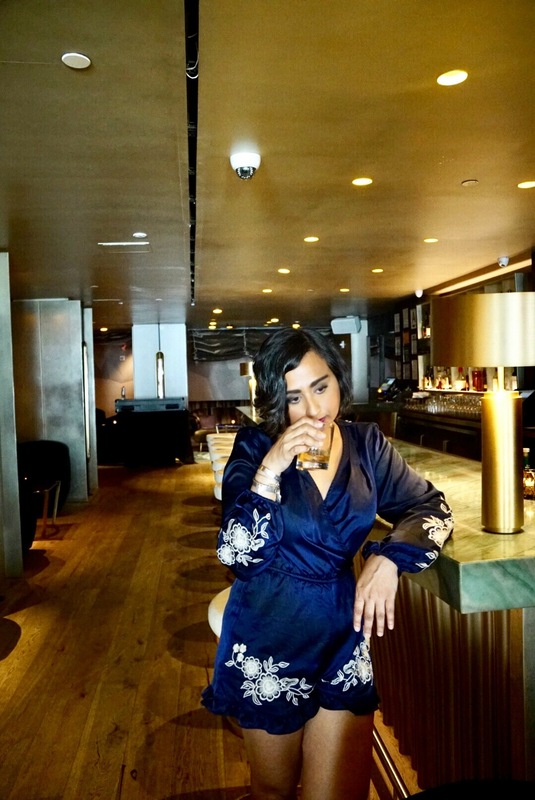 As one of the first South Asian women to have her own whiskey-based company and colognes, Hukmani curates some of the most unique whiskey tasting experiential and multisensory events which include whiskey, gourmet food, comedy, music, and theatre. As a lover of whiskey myself, after attending one of Whiskey Stories’ experiences, I was keen on learning about the #bossbabe behind it all. So, I sat down with the founder herself to get the inside story. First and foremost, why whiskey? After 11 years of working in marketing and production of whiskey, with brands like The Macallan, Highland Park, Glenrothes, Crown Royal, Chivas Regal, Glenlivet, Jameson and more, I realized people have a lot of misconceptions about whiskey and don’t get to spend time immersing themselves in the art and science that is whiskey as well as its nuances and versatility. So, I had the desire to share that knowledge with people whilst also enjoying whiskey. The more I learned, the more fascinated I got. The first time I sipped whiskey it was like the mothership had called me home. I just knew this is what I was meant to do. Was working in a male-dominated industry part of your inspiration to start Whiskey Stories? While I am currently in the minority as a South Asian woman working with whiskey, the very history of whiskey production heavily involved women. Some of the very first alchemists and distillers were women. America also has many fascinating stories of bootlegging women who sold moonshine illegally and evaded tax collectors. My favorite bootlegger Wild West woman is Belle Starr. I wanted to share my love for whiskey with the public, and as a woman, it was important to me to take my passion and evolve it into a business where I share my passion in an entertaining way but also impart knowledge about whiskey and whiskey women throughout history. How did Whiskey Stories LLC start? 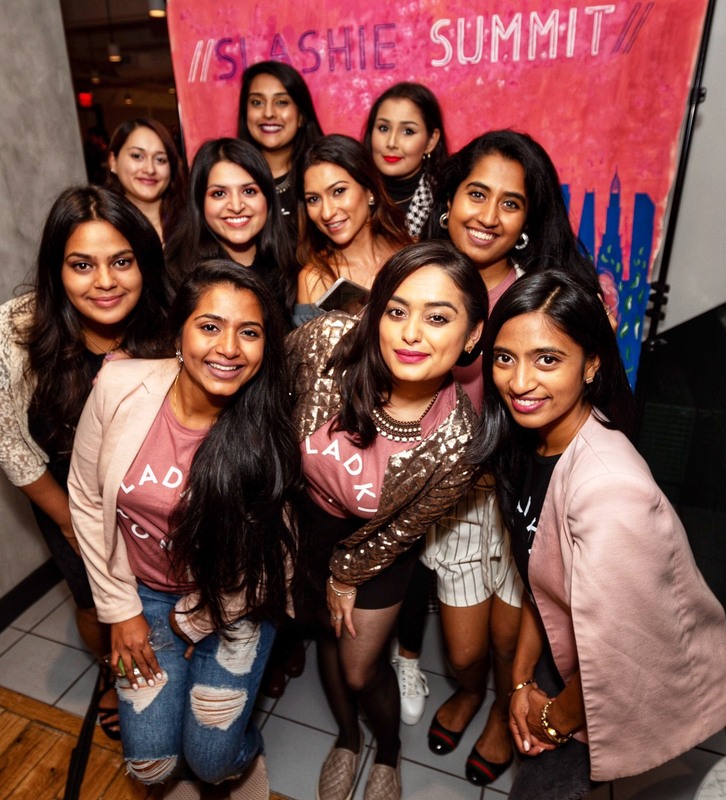 It started in a brainstorm with eight women entrepreneurs, each one with an idea of what they wanted to do. It was at Marina Romasko’s Big Idea Lab. My very first Whiskey Stories experience five years ago consisted of 12 friends, on a rainy night, all ready to support me—no questions asked. I had been holding tastings for over a decade but this was my first time as a business owner. The stakes were higher. Miraculously, once I stepped into this role, I was quickly hired shortly after to do tastings for 50 people. Even though I was super nervous, standing in front of these people holding a microphone, I knew this is what I am meant to do. I genuinely believe when you find your calling the universe paves the path for you, all you have to do is step on it. As Whiskey Stories grew, being a stand-up comic and comedy actor, I wanted to find a way to intertwine my passions into an informational and entertaining experience. I started developing an immersive event. When people attend Whiskey Stories, they absorb more than the alcohol, they absorb knowledge while getting entertained via comedy, music, stories and more. There is also decadent food! I was very lucky to grow up in Kuwait, Cyprus, and India with an unexpected Japanese influence at home, before moving to the US. My parents were amazing cooks and we learned the art of cooking from an early age. I love to cook so the pairing of food with whiskey comes very naturally to me. As a result, I have formed partnerships with several chefs across the country to continue to bring Whiskey Stories’ guests the best of food pairings. 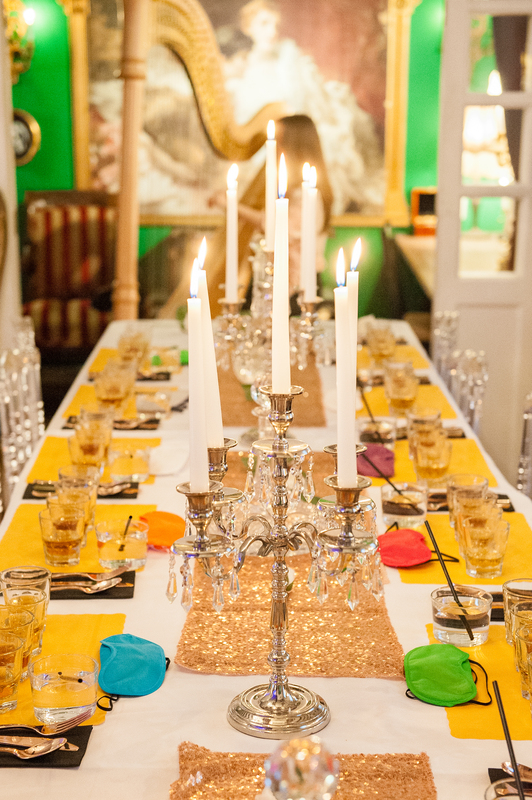 What types of events does Whiskey Stories offer? No two experiences are alike. 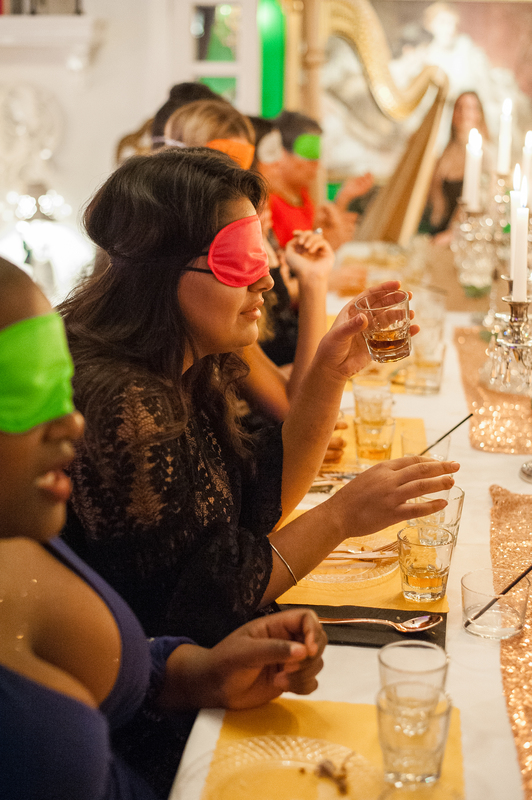 We offer several experiences such as our most popular whiskey journey in darkness called “Whiskey in the Dark,” and others like “Whiskey Stories Flavors of Asia,” “Whiskey Stories & Music,” Whiskey & Whiskey Infused Donuts or Whiskey & Comedy. It was one of my goals to engage the artist community and include actors, comics, musicians, harpists, sitar players and more within each tasting experience! We curate several artists as part of the WS family all with the intention to encourage people to delve into a sensory experience during a very disconnected digital age. Whiskey Stories also has a newly launched a VIP membership program that involves tips on how to invest in whiskey, how to become a whiskey collector, how to shop for whiskey, exclusive specials on events, whiskey-related global travels and virtual whiskey tastings around the world! Colognes are made with grain alcohol, so I began to think to myself, why not Whiskey then? I created a line of unisex whiskey based colognes which include other ingredients as well but are overall designed to capture the nuances of whiskey. Featured in Bloomberg, these make the perfect whiskey-lover gifts! Even if you’re not a whiskey lover, these are great because they are not like typical colognes. 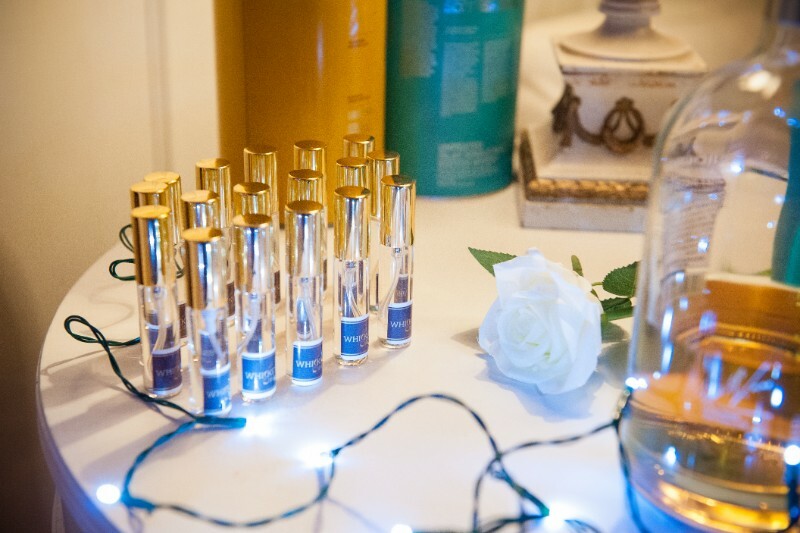 My colognes are included as part of the multisensory experience at Whiskey Stories events because fragrances can completely change your whiskey experience. They are also available for purchase on Etsy. Currently, we have a line of eight fragrances. What’s next for Whiskey Stories? 2018 was an incredible year! We grew leaps and bounds by adding several experiences months in advance, launching our colognes, VIP Club, corporate/private packages and more. It has been a dream of mine to create my very own “Whiskey World of Whimsy” and we have successfully nailed down a venue that is just that! As the company grows, we are selling out tastings 3-6 months in advance and need to begin scaling. We have just launched our official crowdfunding campaign! We hope to be able to hire staff, add more experiences, and expand our selection of whiskeys and artist pairings! I believe one of the best things someone can do for us is underestimate us because that contrast sheds light on what we really want. As long as we continue to believe in ourselves, the rest falls into place, including the right company that helps us along the way rather than tell us we can’t do something. So, keep at it and the right avenues of abundance will come along. And ask for help from the right people. I once heard someone say, ‘If you don’t need help, your vision isn’t big enough.’ So, don’t be afraid to ask for help. Just be fussy about who you ask. Click here to donate to Whiskey Stories crowdfunding campaign! Be sure to check them out on Instagram! SOURCEAll images in this post are courtesy Marjorie Becker Photography. Self-proclaimed 'Chattiest of Kathys,' Jashima is a brand strategist and lover of all things music and mental health advocacy. 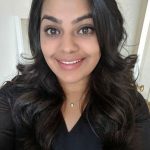 She can be found bhangra-ing her way through NYC, at an innovation marketing event, or where ever the nearest french fries are. As an aspiring filmmaker plotting her debut, you can count on her for candid conversations, impromptu travel and a good ole' pinch of sass.